Today, major institutions agree to join efforts to reach 2030 energy access objectives. This was the main conclusion from the ARE Energy Access Investment Forum organised by the Alliance for Rural Electrification (ARE), Energias de Portugal (EDP) and the Africa-EU Renewable Energy Cooperation Programme (RECP) in Lisbon last month. The Forum, which took place two weeks ahead of the SEforALL Forum in New York, proved again to be a great success with more than 300 participants from 55 countries traveling from all over the world in to join the discussion. ARE’s cornerstone Forum brought together key speakers and a resonance of commitment from all speakers and participants to achieve energy access based on clean and sustainable business solutions. António Mexia’s (CEO of EDP and new Chairman of SEforALL), who opened the Forum, shares his insights in this month’s edition on what EDP is doing to help raise electrification numbers. 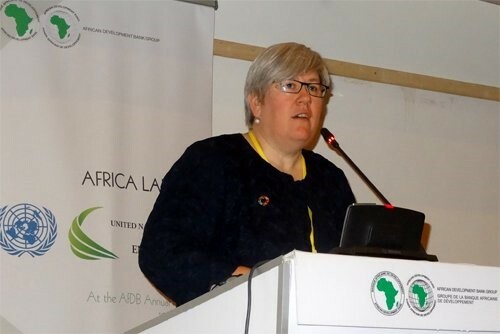 Rachel Kyte (CEO of SEforAll and Special Representative of the UN Secretary-General) highlighted the role of ARE for the sector and encouraged the off-grid industry to raise its voice on sector developments and needs through well-established platforms such as ARE in her keynote speech. This year, the Forum also delved deeper into specific regions such as East and West Africa as well as LAC by looking into leading initiatives from regional institutions such as AfDB, ECREEE, IADB and UNOPS. 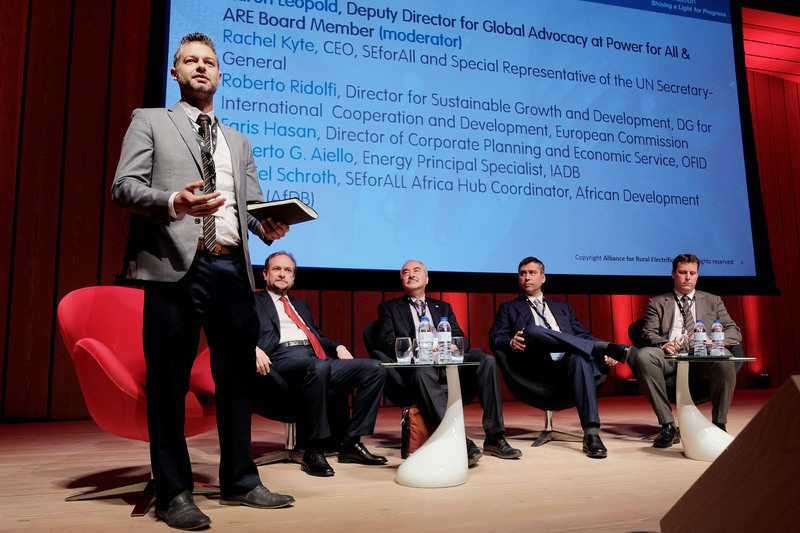 Kindly have a look in the news section of this newsletter to find out more about the key highlights of the Forum, including the launch of the ARE-ENERGIA Position Paper on Women and Sustainable Energy. 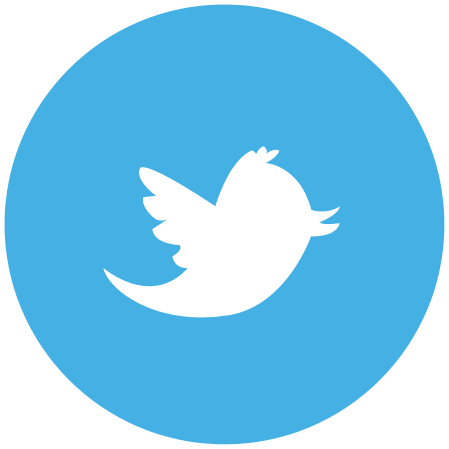 In confronting the main obstacles for the industry (e.g. having business enabling environments and adequate de-risking and financial support schemes), the private sector will still need more time to take on full responsibility of delivering universal energy access within the set political timelines. Thankfully though, after intensive efforts to inform about available cost-effective and sustainable business solutions for decentralised clean energy solutions, the topic of energy access could be moved up further on the political agenda. To turn this attention into tangible results, full commitment from governments in developing countries to create the much-needed frameworks and the continued support of developing financing institutions to get more engaged in the market is needed. Wouldn’t it be nice to see even more promising results when it comes to energy generation capacity installed by 2030 as expected by a consortium of leading international researchers (Science, 2017)? And if so, why not directly having it in the rural areas where most of the people lack sustainable clean energy access? 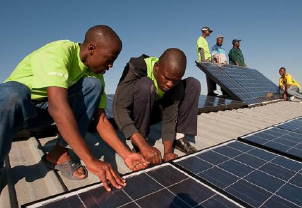 Scaling-up off-grid renewables will also require improved access to financing for enterprises and the consumers. Although off-grid investments have grown in recent years, they are still well below their potential. To successfully tackle relevant factors including the mismatch between the typical project sizes and financing instruments, ARE has the pleasure to share its key recommendations from the Forum to better catalyse investments. 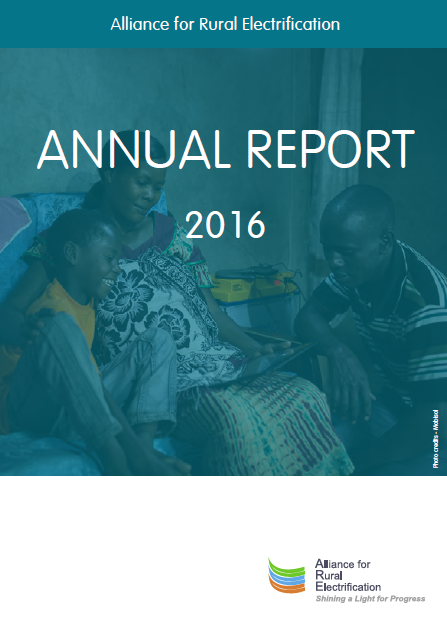 Finally, I am pleased to share with you the ARE Annual Report 2016, which shows results achieved in the last year, and provides some insights into planned activities for 2017. All of this is only possible with a strong and representative Membership. But, obviously there is a need to do more! Since the end of February, we are pleased to welcome 13 new companies: Backwoods Solar Electric Systems, Energy Diverse Integrations, Encell Technology, G.R.I.D., HOMSOL, Infinite Fingers, International Power Supply, Lumiere du Monde, Masar, Proparco, Sigora International, Simpa Networks and SparkMeter. These companies will now benefit from ARE services specifically designed for Africa, Asia and LAC. For those considering to join ARE, feel free to contact me. We look forward to collaborating together! Sustainable Energy for All (SEforALL) is a valuable initiative that has been bringing together efforts from various sectors of society, strengthening partnerships and unlocking funding to guarantee that three major objectives are fulfilled: ensuring universal access to modern energy services, doubling the energy efficiency development ratio and doubling the percentage of renewable energy in the global energy mix. Therefore, it is with great honour, as the CEO of EDP, that I have recently accepted the nomination of Chairman of the Administrative Board of SEforALL, reflecting the path that the EDP Group has been following through its strategy and sustainable commitments. It is our ambition to seize this opportunity to put EDP at the service of the UN goals established for 2030. With a relevant presence in the global energy landscape, and as a major integrated power utility, EDP has a clear vision of its role in society and is therefore committed to being part of a movement to ensure that energy reaches every single person in a reliable and affordable way and is devoted to increase renewable sources, enabling people to live a better life while fighting climate change. Our strategy for sustainable development covers innovation, technology and new business models. EDP is committed to have 75% installed capacity from renewable sources by 2020, 1 TWh energy savings by 2020, 200M € invested in Research & Development projects until 2020, reduce 55% of CO2 specific emission by 2030 (vs. 2015 levels) and accelerate the universalization of energy access through dedicated projects. Focusing on the latter, EDP is carrying out projects to supply electricity, produced locally and from renewable sources. A model adjusted to the needs of communities in remote areas. Promoting Access to Energy is to promote the fight against social exclusion and improve safety and quality of life of a very significant portion of the world’s population. Currently, we are about to implement a clean energy mini-grid project in Mozambique, that creates an opportunity to test a new business model (mini-utility based on fee-for-service) with innovative technologies (solar, storage, biomass, micro-grid, pre-payment) as a first step into a potentially large attractive and unserved market. The existing inequalities in the world are disturbing, with still about 1.1 billion people with no access to electricity. The universal access to energy requires investment in solutions of decentralized production of electricity to meet basic lighting needs. The pipeline of opportunities, in the short and medium term, is available and can be developed through fostering international partnerships to deliver social and environmental value and also allowing the creation of economic value. Our goals are clear: making our energy cleaner, sustainable and accessible to all. Off-grids and debt funding: local currency or hard currency? In this month's newsletter, we challenged some (mis)perceptions around local currency funding and argued that off-grid companies that earn local currency should (debt)finance themselves in local currency. Now, we assume an off-grid company, a payg or mini-grid, at debt funding stage and address two questions that the company will have: 1) why hedge? And 2) hedge at what cost? NB: with hedging in this context we mean both i) taking out a hedge to hedge a USD loan or ii) borrowing in local currency. So why hedge? 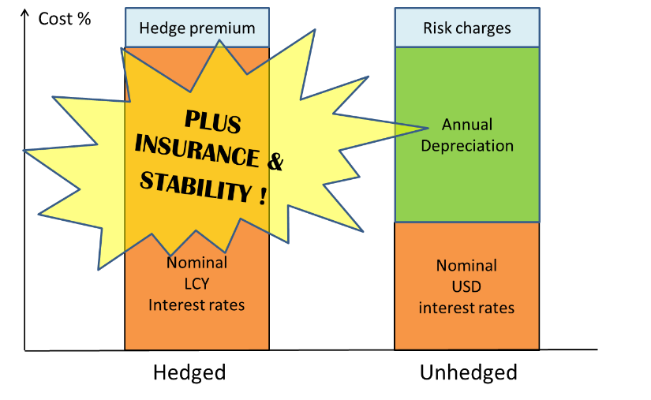 The right question is of course why not hedge but, to answer anyway, the reason to hedge debt is to a) eliminate volatility in debt service cost and b) reduce exposure to currency shocks and c) in doing so, to build a more sustainable business that can d) attract greater leverage at better terms and e) that can offer greater price stability to customers. Hedging is not a P&L play, rather it is the default choice. Not-hedging, on the other hand, is a speculative strategy that may generate a gain or loss relative to a hedged position, that will create uncertainty and weaker credit terms and that can put you out of business. At what cost? The better question here is, “what is the cost of not hedging”, but still, the answer is important. While difficult to say for each specific case, in principle and in practice and on average also, the cost of hedging is zero. Why? Because the cost of a hedge is equal to a) the expected avoided depreciation cost plus b) a premium for the hedge provider less c) the risk premia otherwise charged by creditors for not being hedged. In aggregate, the expected cost should be zero, while the hedged option guarantees the absence of volatility and risk. So, all the benefits at zero extra expense? Well yes! TCX Fund based in Amsterdam, provides hedging products to development finance institutions, impact lenders and banks, with the objective of facilitating local currency finance to businesses in emerging markets. Over its near decade of existence, TCX has provided several USD billions of hedges, in 1000’s of transactions in 60+ currencies worldwide and all those transactions have - on average - yielded a premium to the Fund of no more than 1%. 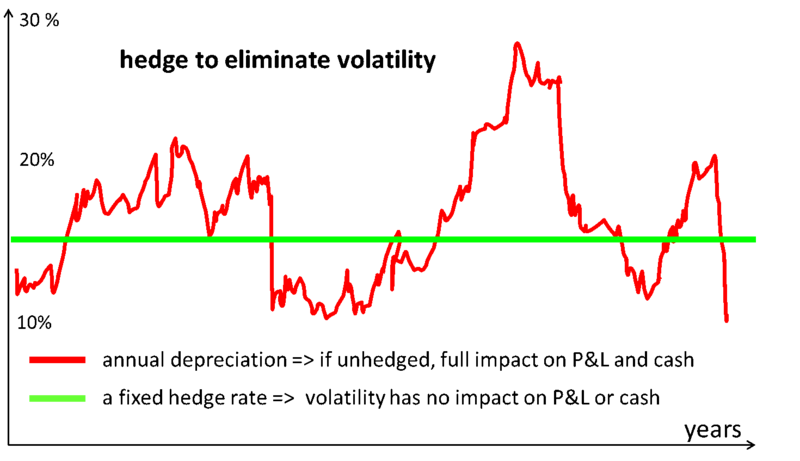 The Fund’s performance therefore supports the above submission; i.e. that hedging comes at a recoverable cost, while ensuring all the powerful benefits of matched funding and zero currency risk. Consider it! Please contact us with questions at: p.vanswaay@tcxfund.com or: + 316 2256 3385. March 1996 and an initiative to support the uptake of Off Grid Renewable Energy has just been initiated in one of the most remote areas of the world – The Falkland Islands, South Atlantic. With a land mass covering 4,700 square miles and a population of 2,932, Falkland Islands Development Corporation (FIDC) had a vision to introduce renewable energy to support the economic growth within the rural community but more importantly to ensure rural life on the islands could continue. Residents on the Islands relied solely on diesel generators for power as there was no grid network available. The cost of transporting the diesel was unsustainable and damaging to the sensitive environment on the islands. The potential for harnessing ‘small scale’ wind power was realised with a 50% grant made available with funding through FIDC. 85% of the rural population now has 24-hour power thanks to Kingspan Small Wind Turbines! The initial concept tried a number of manufacturers, many of which were not capable of withstanding the harsh weather regimes on the islands. After a 12-month pilot trial, FIDC opted for a reliable, robust and easily maintainable wind turbine, the Kingspan KW3 - a downwind turbine that doesn’t need to shut down in high winds. These are available on tower heights from 6m to 20m. 21 years on from the first installation, Kingspan Wind continues to supply the 3kW and 6kW Small Turbines, most of which are stand-alone systems in 24v, 48v and 300v configurations and have recently introduced micro-grids, designed to power remote villages and communities. These systems have integrated multiple 6kW turbines, utilising battery storage and a back-up diesel generator for the very rare occasions the wind doesn’t blow. With over 130 turbines on the islands, Kingspan has what is believed to be the largest off grid turbine fleet in the world. The manufacturer, originally (Proven Energy) was acquired by Kingspan in 2011. “We have been manufacturing off grid systems for many years and are proud our turbines are now entering their third decade of operation. Funding is critical to supporting rural life within these remote areas and our success in the Falklands is a great example of what can be achieved with Small Wind and Rural Electrification” Richard Caldow – General Manager of Kingspan Wind. Kingspan turbines can be supplied as either stand alone, hybrid or mini-grid systems. Pilot Point (Alutiiq: Agisaq) is a city in Lake and Peninsula Borough, Alaska, United States, on the Alaska Peninsula. While this community is not connected by road or electrical inter tie, it is accessible by barge, during 6 months of the year. Over half of the residents depend directly on the salmon fishery for their livelihood, with a small remainder depending on tourism, sports fishing and hunting, and a few government jobs. The village has been relying upon diesel fuel for its electricity production: a power station delivers about 500 MWh per year while consuming almost 1,000 barrels (120,000 l) of oil. Average residential electricity tariffs are in the 0.35 $/kWh range. Intelligent Energy Systems will convert the existing electricity supply of the village into a hybrid system running on a combination of wind & batteries. Using electric thermal storage, the diesel can be turned off during half the time. In line with IES and XANT’s mission, this project is about more than just making energy cheaper. 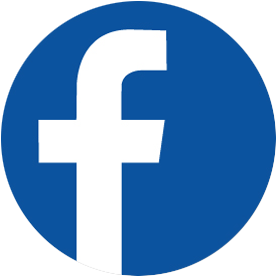 Both companies actively seek the involvement of the community in building and maintaining the project. Thanks to the training that goes into the people development, in the future Alaska might export its talent in microgrids, instead of just oil. XANT will deliver 2 XANT M turbines in ETR (Extreme Temperature Range) execution to IES for their project in Pilot Point. Before committing to the project in Alaska, XANT subjected the XANT M to a thorough design review and testing procedure to make sure all components were ready for the cold winters. The complete nacelle has been operating at temperatures down to -40°C and cold-starts at these low temperatures were simulated. Also, the blade-heating system has been verified under real operating conditions. Due to the logistic challenges, the choice was made for a containerized XANT M with tilt-up tower. This will also facilitate maintenance done by local technicians and avoids bringing in a crane during the complete lifetime of the turbines. Installation is expected in September this year: already this winter the village will be using half the fuel of last year! ARE Board Member Katarina Hasbani participated in the event organised by the World Bank in Naypyitaw on 6-10 February 2017. In order to showcase its ongoing work on mini-grids, the World Bank is currently working to identify countries (based on a set of indicators) where mini-grids can be a commercially viable solution. In Myanmar, for example, the World Bank announced the decision to subsidise up to 95% of the costs of 120,000 Solar Home Systems, a move that ARE believes will have a detrimental effect on the market. The World Bank is also financially supporting a Call for Proposal for 10 villages in rural areas which was awarded to eight local companies (some working in collaboration with international partners). Under this proposal, the World Bank finances 60% of the project, 20% comes from the community and a further 20% from the developer. It is expected that a similar call will be published next year. During a session on 7 March 2017 with ARE Member GERES and Partners RECP and IRENA, ARE Policy & Business Development Manager David Lecoque presented ARE services and moderated a lively panel discussion on finance and regulatory framework of renewables in developing countries with over 30 post-graduate students. In a joint effort to mobilise key stakeholders to invest in off-grid renewables in developing and emerging markets, ARE together with Energias de Portugal (EDP) and the Africa-EU Renewable Energy Cooperation Programme (RECP) organised a two-day investment forum in Lisbon, Portugal. The Forum was attended by over 300 representatives from the international public and private sector, including high-level institutions, financiers, technical support and solution providers as well as project developers [press release]. In depth discussions and presentations on current policy frameworks, financial trends and technical support tools available and how to best use them in rural electrification markets, featuring more than 30 speakers from the public and private sector as well as financiers and other stakeholders in the sector. Launch of ARE-ENERGIA’s position paper identifying three key recommendations on the policy and regulatory level to empower women in the sustainable energy sector. 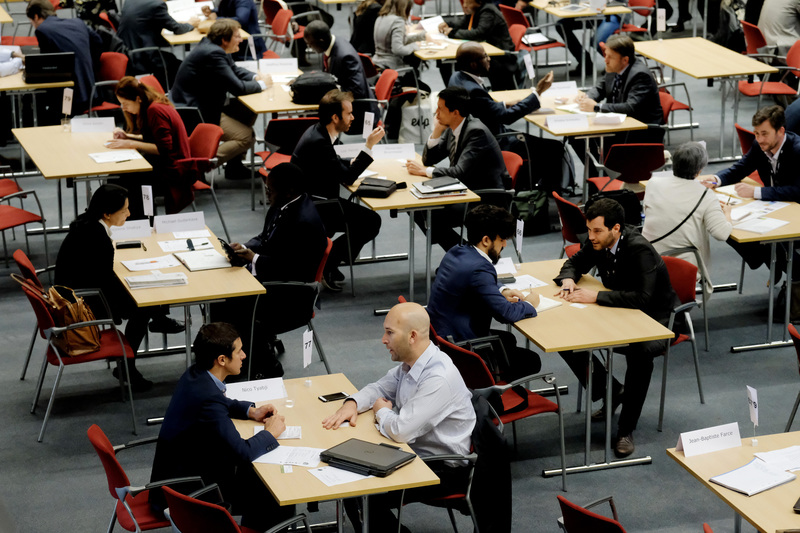 230 participants engaged in more than 500 direct meetings at the B2B Off-grid Matchmaking. 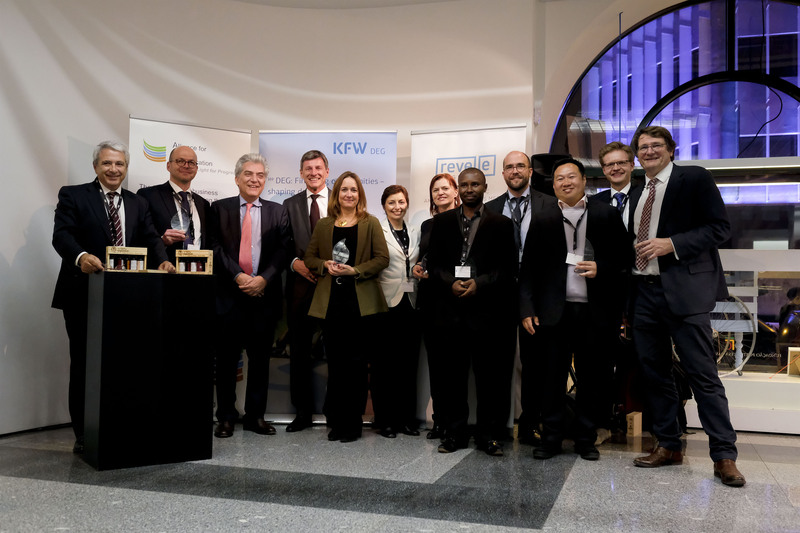 Two awards ceremonies: Young Leaders in Energy Access Awards and ARE Awards to encourage and reward initiative and innovation in the decentralised renewable energy sector. 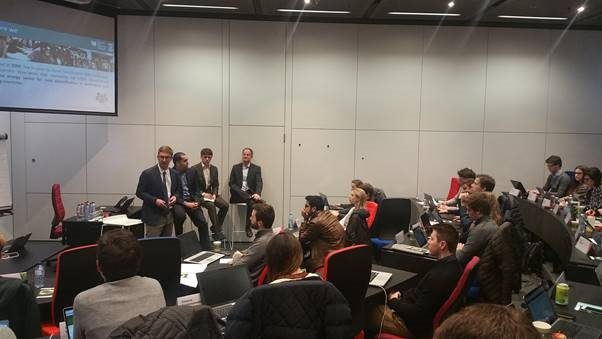 Finally, 35 Vlerick Business School students offered free consulting services on business challenges presented by six companies, focusing on investment analysis, business model formulation and financial modeling. The Forum formed a basis for good discussions and gave rise to a number of key recommendations. These included the need to encourage multi-stakeholder partnerships, to support governments in developing countries to implement clear policy frameworks and to mobilise more investment in education, research and development. To learn more about the other key recommendations needed to scale up decentralised renewable energy today, you can consult the summary of recommendations from the Forum here. The SEforALL Forum in New York on 3-5 April 2017 gathered over 1,000 high-level representatives from government, business, civil society and international organisations. ARE was also well represented throughout the panels, including through ARE Board Members EDP and Practical Action, as well as Members Schneider Electric and Mobisol. ARE Policy & Business Development Manager David Lecoque spoke at the Marshalling the Evidence session, where he emphasised the need for governments to provide the private sector with freedom to operate while safeguarding standards, as well as local technical and entrepreneurial capacity building. Overall, the Forum provided an excellent occasion to promote the work and expertise of ARE and its Members. RES4Africa, Enel Foundation and the AEEP organised the “Africa 2030: Empowering the continent through innovation, green tech solutions and capacity building” side-event focused on Africa as part of the G7 Energy Ministerial Meeting in Rome on 9 April 2017, which was attended by 280 participants [press release]. The panel discussion’s programme was conceived to facilitate dialogue and to guarantee debating opportunities among stakeholders upon: policies, innovations, and regulatory improvements. 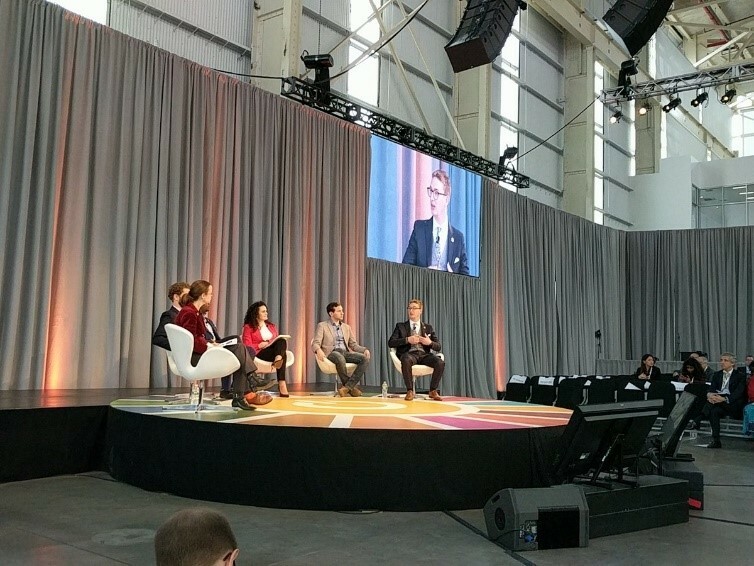 ARE Board Member Aaron Leopold shared his insights on how entrepreneurship today requires a different approach, the economic viability and roll-out potential of distributed energy systems and the importance of having a customer-centric approach in energy planning. To catch up on the discussion, watch the video recording here. The IRENA webinar on 18 April 2017 showcased critical information, analysis and best practices covering the complete life-cycle of a mini/microgrid project and present resources and tools available on the IRENA Project Navigator platform. ARE Executive Director Marcus Wiemann described the role of ARE in the rural electrification landscape, including the latest development related to rural electrification, the role and contribution of technical off-grid / mini-grid solutions and the finance challenges it entails [presentation]. The recent developments in the PV sector have brought PV to a level of competitiveness which is transforming the energy sector. Energy transition in sectors such as transportation or industry will certainly be accelerated by PV, which is becoming rapidly one of the cheapest if not the cheapest source of energy. ARE is partnering with Becquerel Institute and German consultancies specialised in PV market and industry development to propose a brand-new report on emerging PV markets. 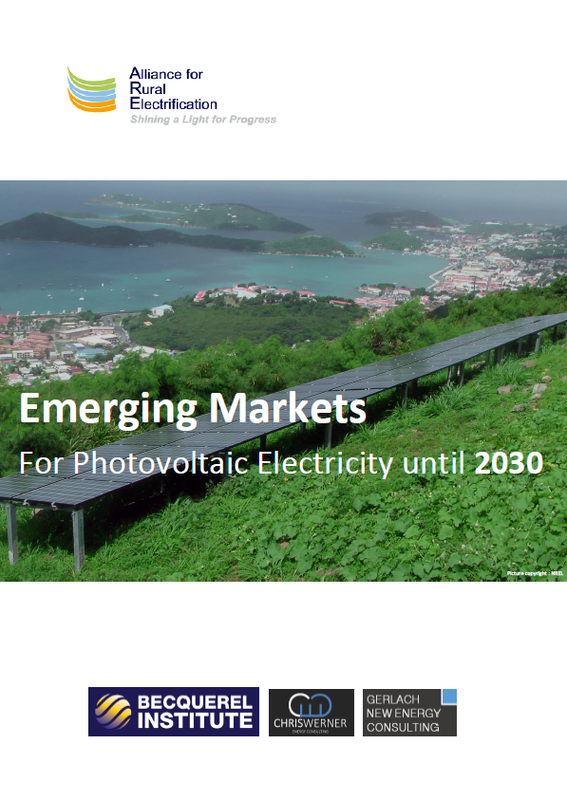 This report will provide a long-term vision based on the potential of PV to transform the energy systems, with a clear perspective on emerging countries. Where can PV develop in the coming years and what could be the market size in key geographies. The methodology innovates by considering that PV can now develop in many locations thanks to its natural competitiveness, under the right policies. 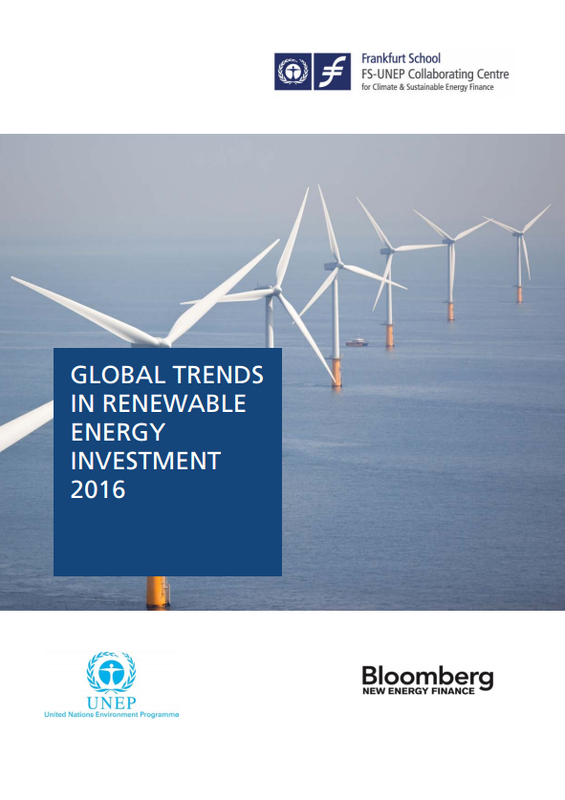 ARE supports this report which will be made public at Intersolar Europe. 1,000 copies will be distributed to our network, Members, policymakers and stakeholders in the months following the Intersolar show in Munich. A complete version of the report will be available for sale, with a rebate for ARE member. Companies willing to sponsor the report or advertise in it should contact Ling Ng [sponsorship package]. ARE and the German Solar Association (BSW-Solar) are the exclusive off-grid partners of Intersolar Europe. 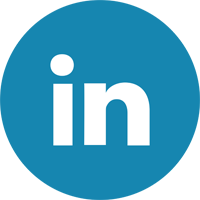 Together, we offer a unique marketing opportunity at the Off-Grid Power Conference for companies active in the field of off-grid solutions. Partnering with the German Federal Ministry of Economic Development and Cooperation (BMZ), this year's conference is an opportunity for companies and project developers to attract and to raise interests from high-ranking delegations, policymakers, investors and international press members. 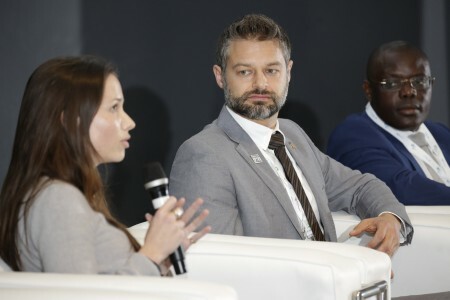 The Off-Grid Power Conference is the focal point to learn about the latest trends on future markets, technological solutions and smart applications. The conference will take place at the Intersolar Exhibition in Conference Rooms B.11 & B.12 [programme]. A get-together networking is planned at our stand B2.309 on 1 June at 18:00. Feel free to pass by and meet the ARE team. Stay tuned to find out more about the planned ARE activities to support the off-grid programme at Intersolar Sao Paolo on 22-24 August and Mumbai on 5-7 December 2017. 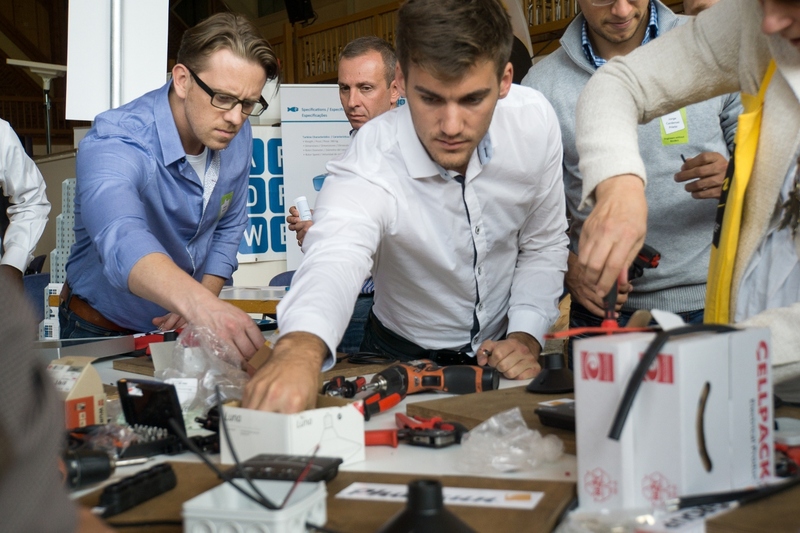 During the extensive three-day workshop programme that includes expert lectures given by international experts, Do-It Yourself Workshops, discussions and networking activities, the different applications of independent solar, wind and hydropower are carefully examined. Topics such as rural electrification, solar water supply, water desalination and applications in the industrial and leisure time sector are in the foreground. In the framework of the workshop programme, visitors can also inform themselves about the enterprises and their product innovations and services at fair booths on a surface of more than 800 m². Phaesun expects about 50 % visitors from Germany and its neighbouring countries, while the other 50 % are supposed to come from Southern and Eastern Europe, Latin America, the Middle East and Africa. The key recommendations from the Working Groups are detailed in the Outcome Document. 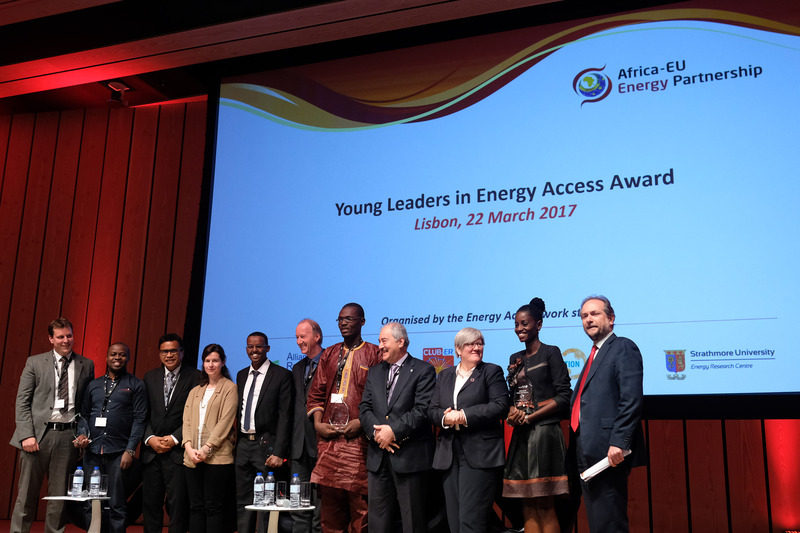 The ARE Energy Access Investment Forum in Lisbon on 22 March 2017 paid tribute to inspiring young leaders advocating and working to improve access to clean energy services in Africa. The Young Leaders in Energy Access Awards is an initiative of the Energy Access work stream under the Africa-EU Energy Partnership. On that same occasion, the young leaders published a communiqué (English and French versions) with its key recommendations, including the need to promote youth leadership, empower and engage young women and girls and encourage multi-stakeholder partnerships. Congratulations to all the young leaders! 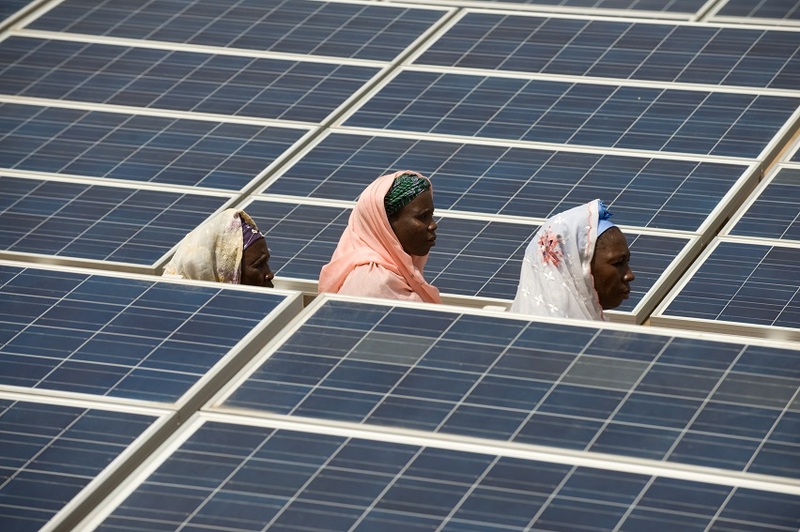 A critical service is now available to renewable energy developers in sub-Sahara Africa. The RECP Finance Catalyst supports project developers of renewable energy projects in identifying and attracting funding for their projects. It provides free-of-charge support in accessing funding and financial structuring of projects. Projects that seem technically, contractually and financially feasible can benefit from this support to bring their project to financial closure. Project developers may lack the experience, networks, or time to identify appropriate sources of finance. The Finance Catalyst provides its services via a team of dedicated experts with extensive experience in renewable energy project development and finance in Africa. The team assists on-grid and off-grid private sector driven renewable energy projects of all technologies. The team has dealt with wind, solar, hybrid, hydro, biomass and biogas projects in a variety of business models. Access to finance support, to identify appropriate financing options and to finalise project documentation, providing in-kind advice (so no direct financial support). Transaction support, to assist in contract negotiations during project completion. We currently serve more than 25 projects with for example financial modelling, structuring a project company with private and public stakeholders, unlocking a stalled negotiation with a development bank and reviewing a power-purchase agreement. The RECP Finance Catalyst support is available to renewable energy projects with generation capacity between 0.5-50 MW. Our website has a list of the eligibility criteria. Please submit your proposal via our website. Information will be treated confidentially. 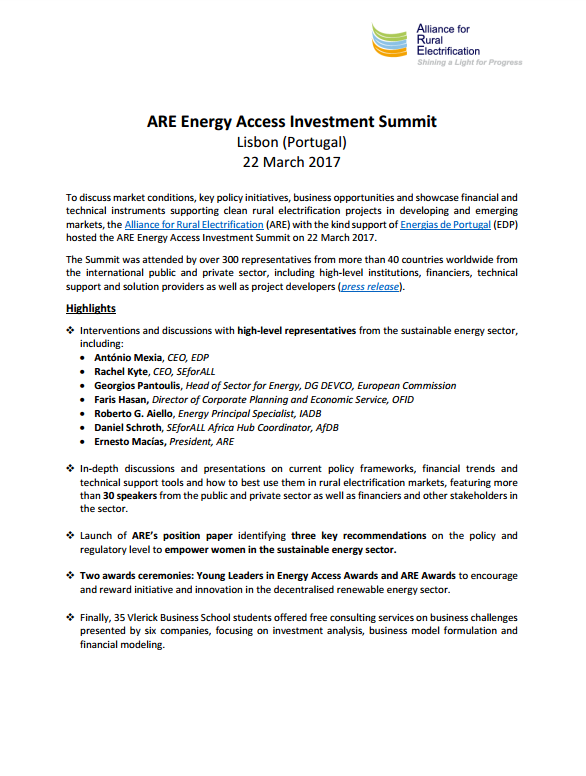 The ARE Energy Access Investment Summit held in Lisbon on 22 March 2017 was attended by over 300 representatives from 55 countries worldwide from the international public and private sector, including high-level institutions, financiers, technical support and solution providers as well as project developers. The main recommendations, including the key highlights and overview of the sessions, from the Summit can be summarised in the following report. 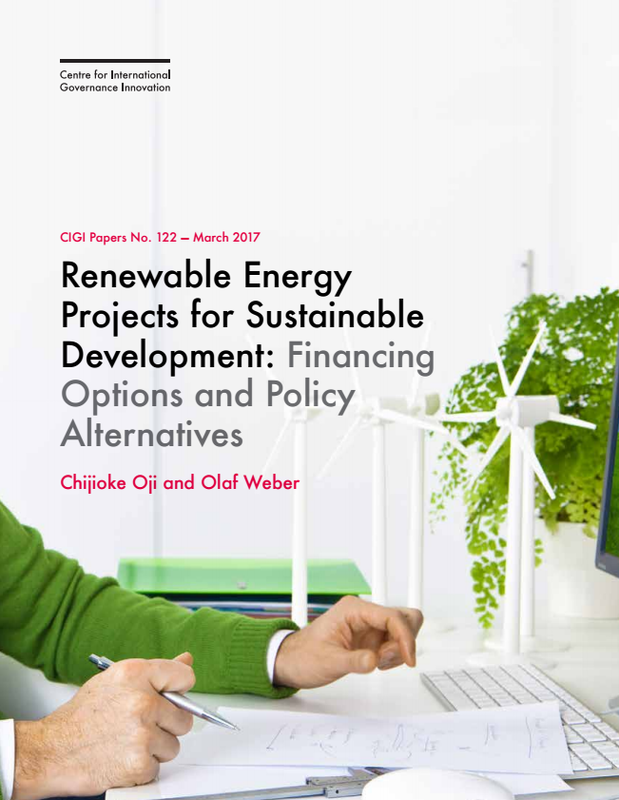 This paper presents a summary of available options for financing renewable energy development and alternatives for policy implementation to support this process. Debt and equity financing options are highlighted and selected policy frameworks for promoting investment in renewable energy project development are discussed as well. Specifically, the paper uses case studies of renewable energy programs in three different countries to examine financing possibilities and policy options for governments developing renewable energy programs. The renewable energy programs investigated in this study are the feed-in tariff program in Ontario, Canada, the clean energy auction program in Mexico and the renewable energy independent power producer procurement program (REIPPPP) in South Africa. While the three programs share a number of similarities, there are also some differences, in particular in the design of the renewable energy programs. Crowdfunding for energy access refers to the donation, reward, debt and equity campaigns launched each year by social enterprises, charities and other organisations raising capital for off-grid energy projects. This market is currently very small, with $3.4 million raised for projects in Africa and Asia in 2015. Debt campaigns currently dominate the market, accounting for 75% of funds raised and 95% of campaigns. Much of this is for micro-loans. 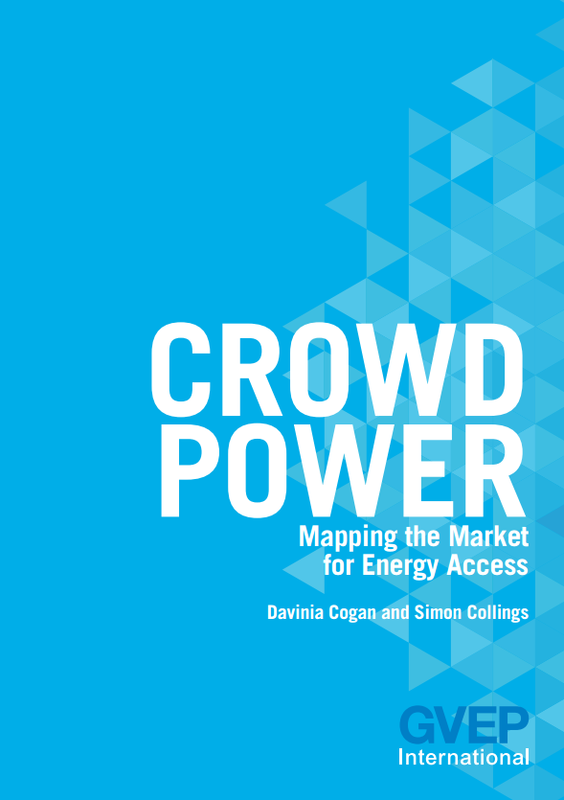 Recent shifts in solar crowdfunding and the emergence of in-house financing across energy access business models will continue to alter the crowdfunding landscape significantly. Over the short term, equity and debt crowdfunding could grow substantially as more early-stage business ventures, unable to raise capital from traditional financiers, seek funds from the crowd. Regulatory changes could also assist this growth. The off-grid energy sector is capital-intensive, with the leading market players offering pay-as-you-go financing, with high working capital requirements. Longer term, as these companies reach scale, the role of the crowd is likely to reduce as other investors in the sector will be better placed to provide the required financing. In addition, the Regulatory Indicators for Sustainable Energy (RISE) Report sets out to answer two important questions. 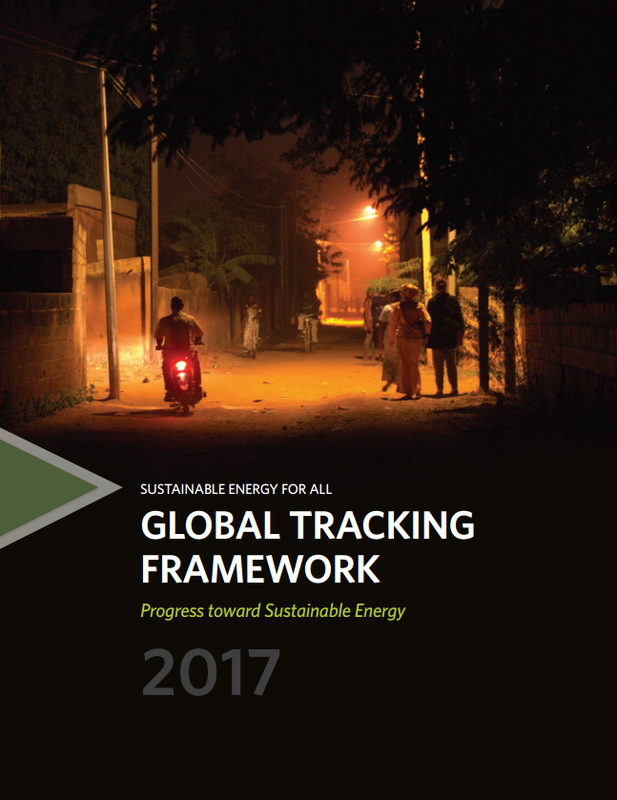 Are policymakers around the world truly rising to the challenge posed by the new global sustainable energy agenda? Where is further action most critically needed?